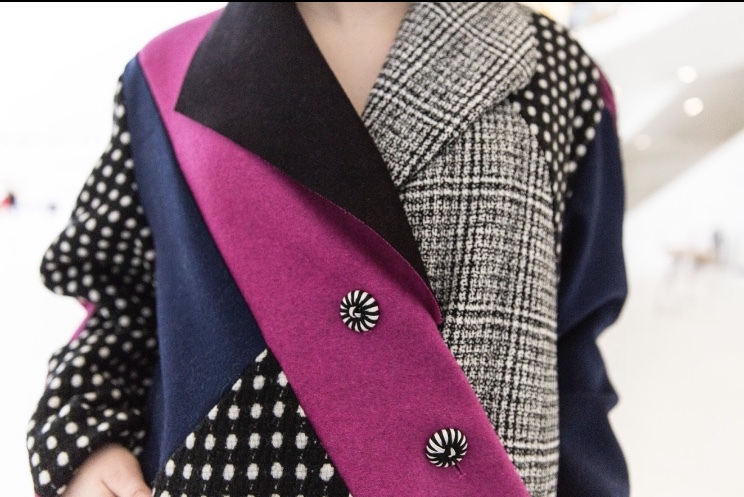 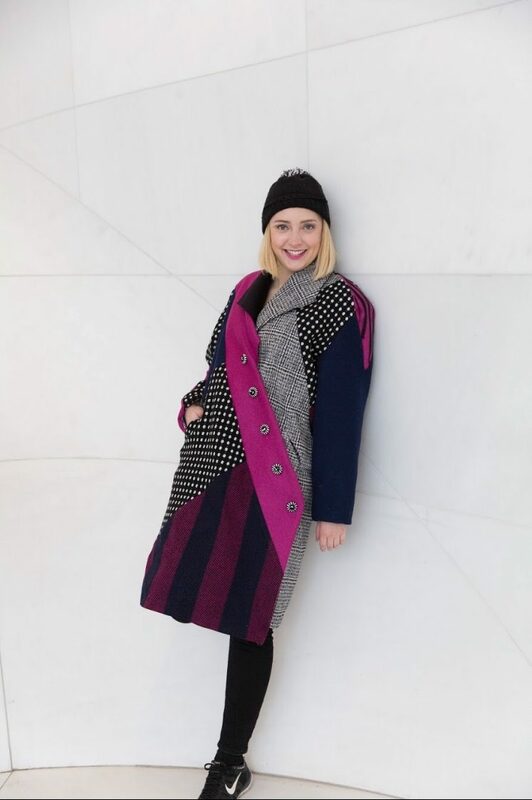 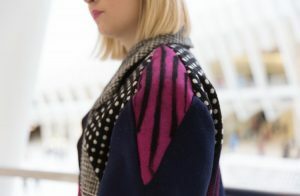 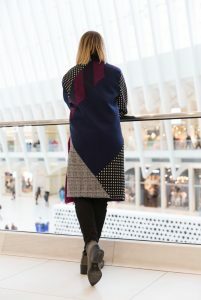 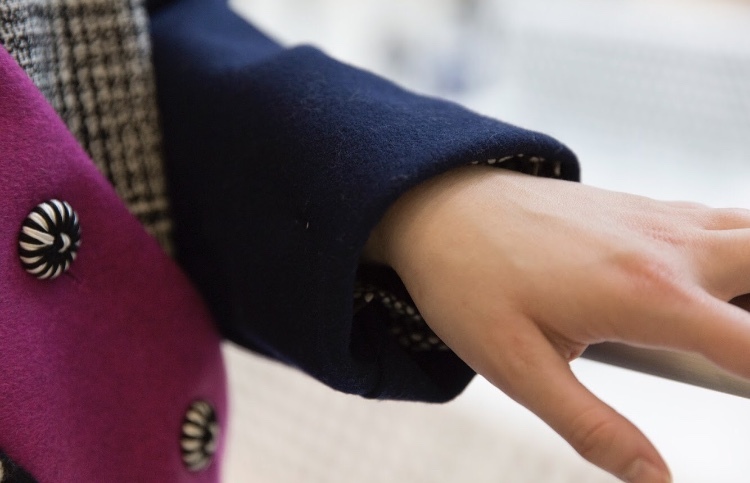 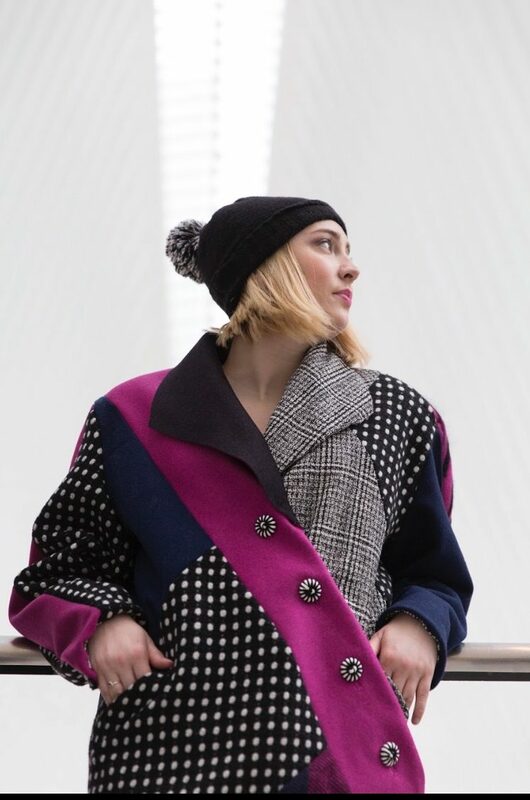 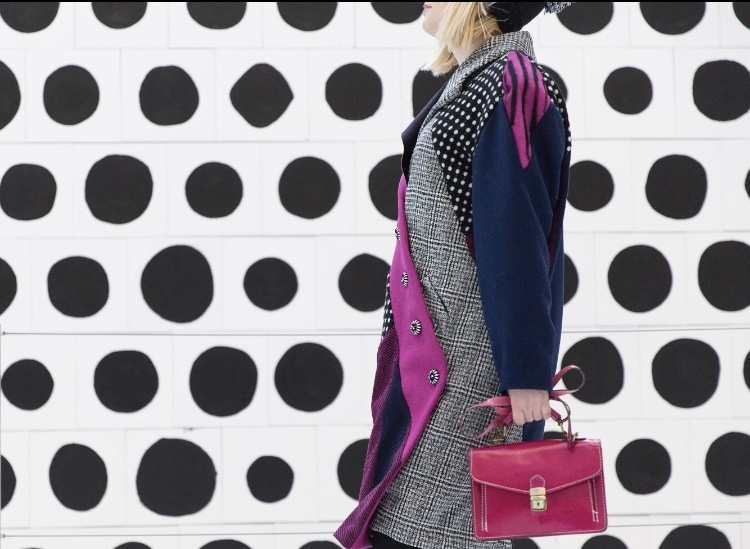 Inspired by the color blocking of tulip fields, combined with traditional Dutch costume, this coat has a modern flare filled with vibrancy and texture. It is also manipulated with wool felting to create new patterns, with a nod to the rows of tulips. 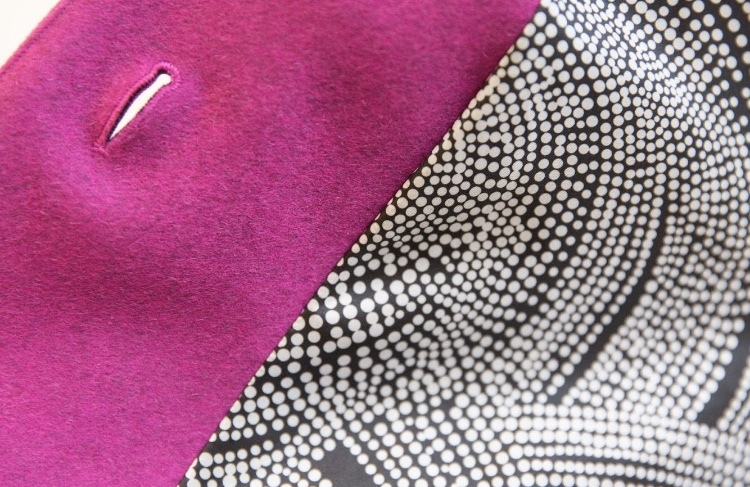 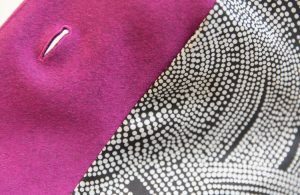 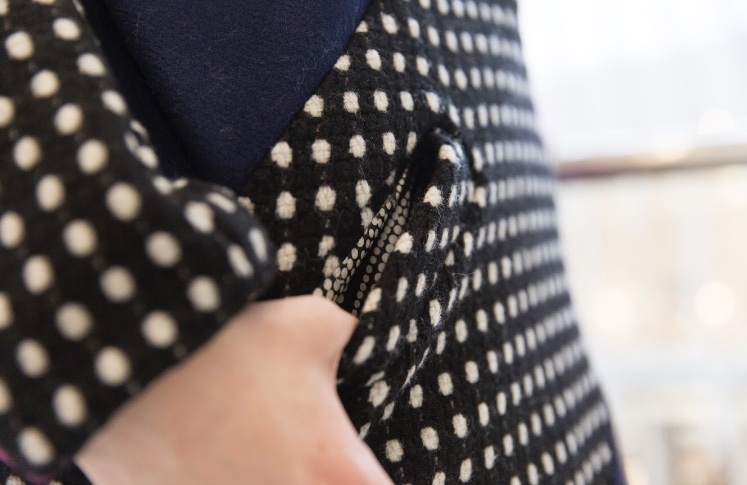 From aerial view, the tulips become small dots, which is reflected by the choice of lining.